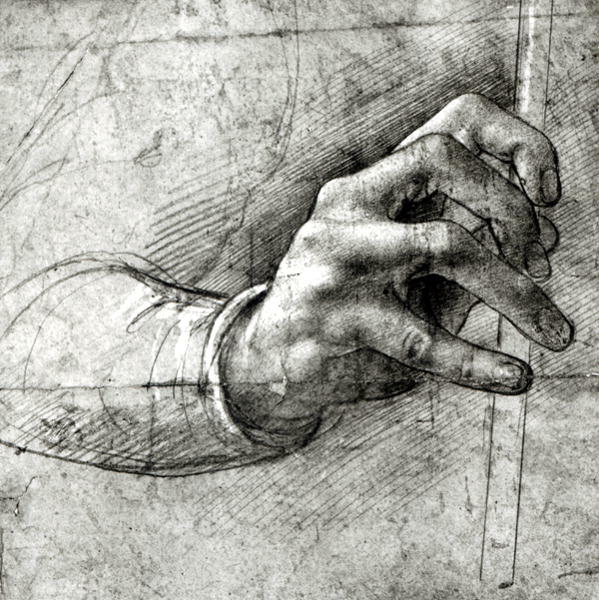 Leonardo Da Vinci – Leonard from Vinci was an Italian polymath, vast areas of interests let him experiment and left actual works in the invention, science, architecture, music, sculpting… to name a few. Most of all, the painting might have been a very basic tool for him to express his ideas on papers. His curiosity and an inquiring mind never ceased and this Universal Genius found some animal the supreme of all… Cats. Leonardo kept notes and drawings of his studies, ideas, and inventions. There are many written manuscripts of his. Among these, cats drawings attract the eyes. It is amusing to look at both the moment of pounce and sleeping cats with relaxing rounded back. Obviously, Leonardo wanted to study animal movements and you can feel his delight of catching cat’s movement. Let our eyes enjoy his drawings and immerse ourselves with his methodology by his quotes. Get your copy on Amazon: Leonardo’s Notebooks: Writing and Art of the Great Master The collection of writings and art in this magnificent book are drawn from his notebooks. The book organizes his wide range of interests into subjects and nearly every piece of writing throughout the book is keyed to the piece of artwork it describes. Leonardo found furry friends, especially the small one’s masterpiece. However, no one or nothing can compete with the smallest feline. They have something mystical in their eyes. What can come out if we had an imaginative mind and skillful hands? Just imagine what new things would be born out of our hands is truly exciting. It may be some small things like you change the opposite way you usually take. You may be able to see the landscape you have never seen before. Get your copy on Amazon: How to Think Like Leonardo da Vinci: Seven Steps to Genius Every Day Genius is made, not born. And human beings are gifted with an almost unlimited potential for learning and creativity. Now you can uncover your own hidden abilities, sharpen your senses, and liberate your unique intelligence—by following the example of the greatest genius of all time, Leonardo da Vinci. Get your copy on Amazon: Leonardo da Vinci: Notebooks (Oxford World’s Classics) Through his notebooks we can get an insight into Leonardo’s thoughts, and his approach to work and life. This selection, organized in seven themed sections, offers a fascinating and informative sample of his writings. You can feel his yearning for knowledge from his quote. Like the river never gets stale, frequently used mind for learning keeps its edge. Leonard pointed out the importance of unity of work and purpose. Maybe you have to change your job to pursue your purpose, maybe you can find meaning in your current job in order to fulfill your purpose once you change your perspective. Either way, he suggests us to use our time for anything we value, our purpose in life. In his case, he never stopped drawing and trying to understand the architecture of everything. Get your copy on Amazon: Leonardo da Vinci: A Life From Beginning to End Uncover some of his best works of art, including the Mona Lisa, and see why he kept so many notebooks and observations about everything under the sun. See where his far-reaching talents led him, and how you can be more like Leonardo da Vinci than you ever thought possible. For Leonardo, total understanding of the object has to come first before he starts to love or hate. Without learning the object, there is no love nor hatred. Leonardo also emphasis on the importance of mastery of oneself. Self-discipline, you may be able to say. In other words, if you want to conquer the world, conquer yourself first. There is no other way around. Get your copy on Amazon: Leonardo da Vinci: Complete Paintings and Drawings This book is the most comprehensive survey of the life and work of this master painter, sculptor, architect, scientist, and inventor. With full-bleed details of many paintings, the reader is able to inspect the subtlest facets of brushworks that came to revolutionize Art History.